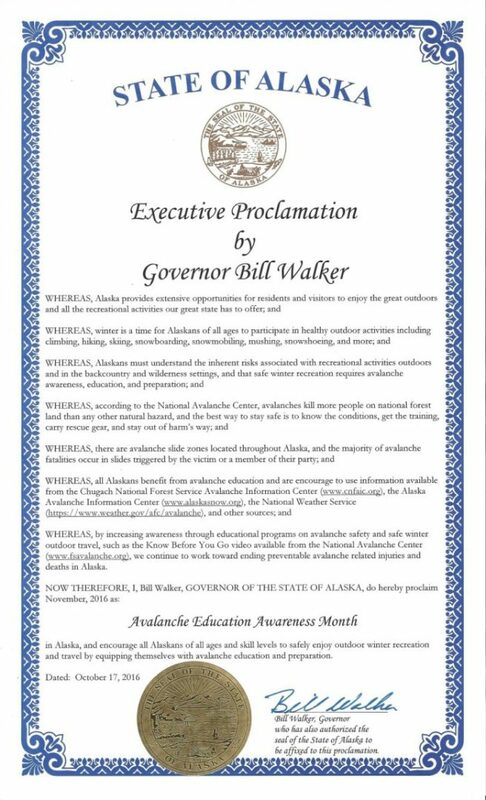 Winter has arrived in Alaska and Governor Bill Walker has proclaimed November – Avalanche Education Awareness Month. If you live, work, travel or recreate in the mountains during the winter months, you owe it to your family, friends and yourself to understand the potential risks. 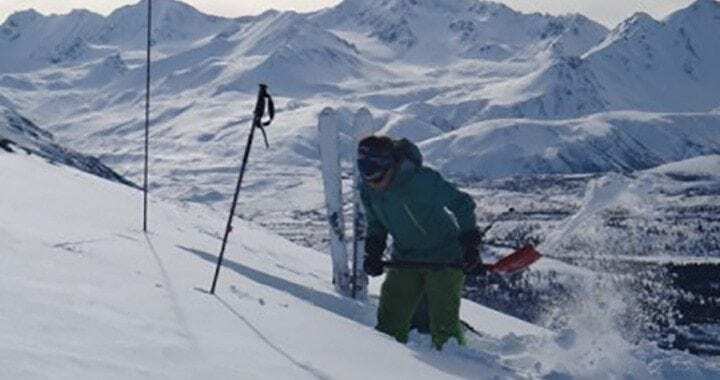 The Alaska Avalanche Information Center, a network of regional avalanche centers, provides snow and avalanche education, observations, advisories and/or forecast services throughout the state. Take advantage of three avalanche education events in early November in Anchorage, rich with information, activities, demonstrations, workshops, and MORE! November 4th, 9am – 4:30pm – Southcentral AK Avalanche Workshop (afternoon is free and open to the public), Alaska Pacific University – 2nd floor Atwood Bldg. November 5th, 11am – 3pm – 2016 Community SnowFest, Anchorage Loussac Library, FREE and open to all! Go to Alaska Snow Education Course Offerings for more information and registration links. Take the time to get educated or brush up on skills for safe travel in avalanche terrain and Live To Ride Another Day! Posted in AAIC News & Announcements and tagged avalanche, education, Governor Walker Proclamation, November.